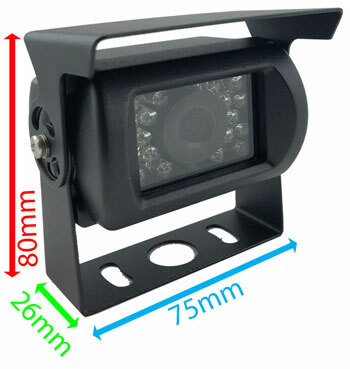 This CMOS bracket reversing camera uses the latest 1/3" OV7949 which gives a higher resolution image and improved night vision. 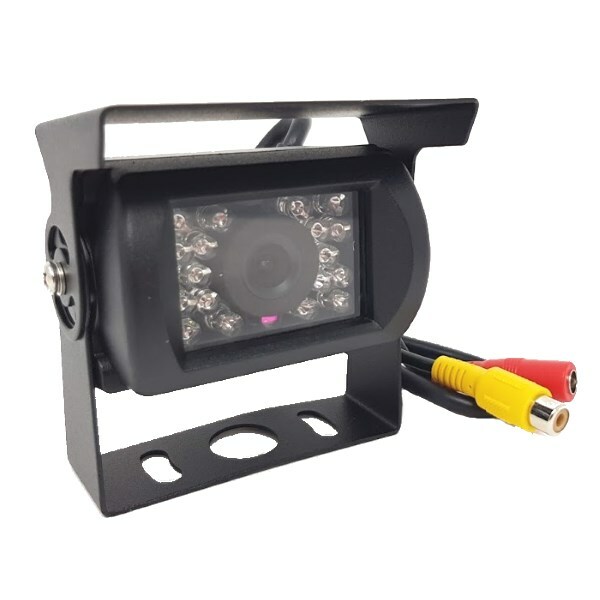 The camera comes complete with a short power lead and you can select a suitable length RCA lead for the video using the drop down menu. They are best mounted high up looking down to give a view across the rear of the vehicle. The camera gives a guidelines overlay to help with your reversing. The IR LEDs give a usable night vision.